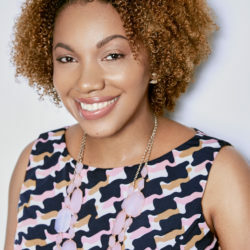 NEW YORK - Oct. 3, 2018 - PRLog -- Forward Promise, a national program office of the Robert Wood Johnson Foundation committed to empowering boys and young men of color, has announced Depelsha McGruder as a 2018 recipient of its Forward Promise Fellowship For Leaders. Depelsha is the Founder and President of Moms of Black Boys United, Inc. and MOBB United for Social Change, Inc., two non-profit organizations that are dedicated to influencing policy and perception impacting how Black boys and men are treated by law enforcement and in society. Moms of Black Boys United is dedicated to changing negative perceptions and increasing awareness and understanding of the plight of Black boys and men in America. The organization creates an extended village and enables moms of Black boys to tell their stories, celebrate their accomplishments, and connect them to resources and opportunities that enrich their lives. M.O.B.B. United for Social Change is an advocacy organization that is a nationwide coalition of moms of Black sons focused on influencing policies that impact the lives of Black boys and men. The Fellowship brings together an intergenerational cohort of both emerging and experienced leaders who have a vision for the healing of boys and young men of color and their communities. Each distinguished Fellow will be awarded $10,000, and will participate in an 18-month leadership development learning experience that includes retreats, peer learning strategy sessions, and skill-building webinars. "The health of a community depends on leaders bold enough to ask tough questions, build coalitions, and take action on behalf of marginalized people," said Dr. Howard Stevenson, Director of Forward Promise. "I'm delighted that we have identified 20 visionaries across generations who are changing the way health services are provided to boys and young men of color in this country." The Forward Promise Fellowship aligns with the Robert Wood Johnson Foundation (RWJF) Culture of Health as it recognizes the accomplished work of a cohort of 20 leaders across the country that helps boys and young men of color have the access and opportunity to live a healthier life. The Fellowship provides opportunities for Fellows to build relationships and a community of support as they advance health strategies for boys and young men of color; to share and be exposed to emerging and best practices to support young men in their communities to heal, grow and thrive; and to elevate the lessons of transformational healing work from the work of all the Fellows. "We are excited to uplift the culturally responsive healing work of each of this year's Fellows and build upon the Foundation's philosophy of leadership," said Maisha Simmons, senior program officer at the Robert Wood Johnson Foundation. "We hope The Forward Promise Fellowship forLeaders will nurture and empower new, bold voices dedicated to the health and well-being of boys and young men of color." Forward Promise is a national program funded by the Robert Wood Johnson Foundation (RWJF) to support culturally-responsive practices that buffer the effects of historical and systemic trauma on boys and young men of color. RWJF has funded the University of Pennsylvania Graduate School of Education to manage the Forward Promise National Program Office (NPO). The NPO has two strategic locations, one in Philadelphia, PA and one in Huntsville, AL. The Robert Wood Johnson Foundation (RWJF) is the nation's largest philanthropy dedicated solely to supported research and programs targeting some of America's most pressing health issues—from substance abuse to improving access to quality healthcare.